Dr. David Weller is one scientist not afraid of getting his hands dirty. Dr. Weller is Research Leader of the U.S. Department of Agriculture’s Agricultural Research Services Wheat Health, Genetics and Quality Research Unit at Washington State University (WSU), Pullman, Washington. His specialty is plant pathology and the cutting-edge research that his research unit conducts solves problems anywhere in the country, or the world, affecting the production of small grains, wheat, and barley. 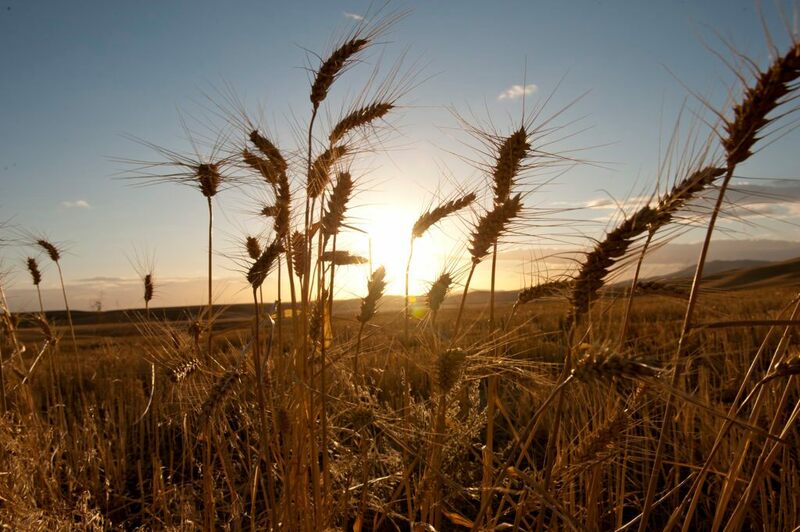 Closer to home, that means he’s responsible for exploring the causes of diseases that plague the wheat crop of the Columbia Plateau in the northwestern United States, one of the most productive wheat growing regions in the world. Plant scientists know that any given soil sample contains more than 30,000 taxonomic microbes2, most of which were unknown to science until very recently. Even less well known are the hundreds of thousands of small compounds, or metabolites, that inhabit the rhizosphere – the microhabitat surrounding plant roots where the soil’s physical, chemical, and biological composition is influenced by the plant. Some of these soil molecules are natural antibiotics produced by soil bacteria that suppress root-destroying pathogens. These bacteria have since become objects of intense interest as practical means of disease control. To better explore the mysteries of the rhizosphere, Dr. Weller invested in an ACQUITY H-Class UPLC System and a SYNAPT G2-Si Mass Spectrometer with a grant from the U.S. Department of Agriculture. “This new mass spectrometer helps us understand the chemical symphony going on in the roots and root zone,” said Weller. To celebrate the acquisition of the LC-MS system, WSU and the USDA are co-hosting a half-day Plant Metabolomics Symposium and lab tour on Tuesday, March 21. 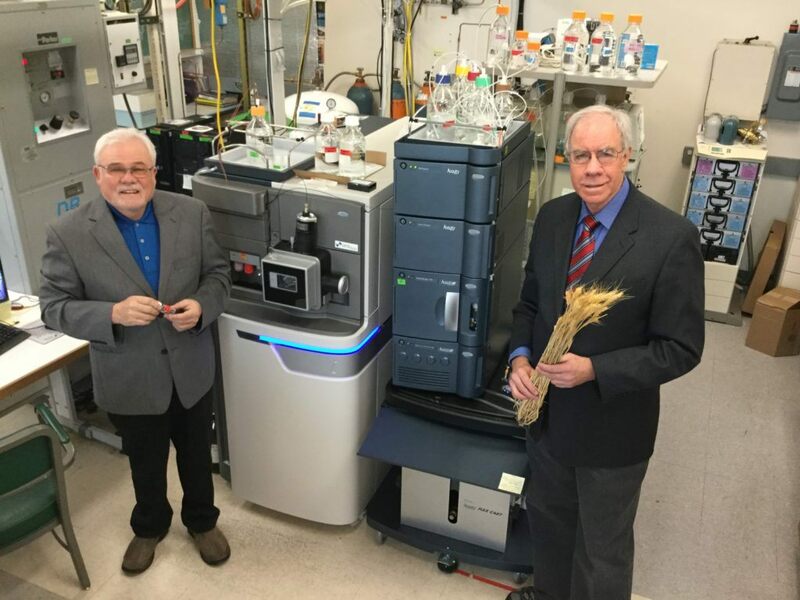 Bob Bonsall (l) and Dr. David Weller (r) of Washington State University’s Plant Pathology Laboratory with Waters ACQUITY UPLC H-Class System and SYNAPT G2-Si Mass Spectrometer. LC-MS is not new to the Plant Pathology Laboratory at WSU. Its Micromass QTof II mass spectrometer, a quadrupole time-of-flight mass spectrometer the lab purchased in the early 1990s, is still running like new thanks to Sr. Scientist Bob Bonsall, a biochemist in the Department of Plant Pathology and a key contributor to soil science. Bonsall’s research helped to demonstrate for the first time that antibiotics are produced by beneficial microbes on roots and that these antibiotics suppress fungal root pathogens in soil3. This point had been debated for over 60 years in the literature until unequivocal evidence was provided both genetically and by direct isolation of phenazine-1-carbolylic acid by Bonsall. Later, Bonsall contributed to research that showed that the natural suppression of take-all disease of wheat, known as take-all decline (the most important root disease of wheat worldwide), resulted from root colonizing bacteria that produce the antibiotic 2,4-diacetylphloroglucinol (DAPG). “Metabolomics can give us a big picture view of the biochemical events associated with wheat,” said Bonsall. “The SYNAPT’s ion mobility feature in combination with the Progenesis software will allow us for the first time to rapidly sieve through thousands of metabolites in the wheat metabolome and identify key biomarkers that will predict high yield potential, disease and stress resistance, and/or high end-use quality in wheat cultivars,” said Bonsall. What scientists at WSU are learning about the soil microbiome in Washington State has significantly contributed to what we know about growing not only wheat, but root crops worldwide. “We phytopathologists all share a common interest and passion for using beneficial microorganisms for improving plant growth and to solving world hunger,” said Weller. One of those closest to the WSU’s research in plant science is mass spectrometrist Dr. Ken Rosnack, a principal business development manager at Waters Corporation. Beyond research in soil metabomics, Dr. Weller sees other possibilities for the lab’s new mass spectrometer. Healthy Soil Microbes, Healthy People, The Atlantic, 2013 June. Fighting Microbes With Microbes, The Scientist, 2013 Jan.